The Hyundai IONIQ has continued its winning ways in 2018, picking up two awards at the Carbuyer & DrivingElectric Awards; Carbuyer Company Car of the Year and DrivingElectric Compact Plug-in Hybrid of the Year. These latest victories come a little over a month after the IONIQ Hybrid was named as WhatCar?’s Best Used Green Car. Available as a hybrid, plug-in hybrid and fully electric vehicle, IONIQ is the most versatile alternative-fuelled vehicle on the market. In IONIQ Hybrid form it boasts fuel economy of up to 68.2mpg, while the Electric version is capable of 174 miles of zero emissions motoring on a single charge. 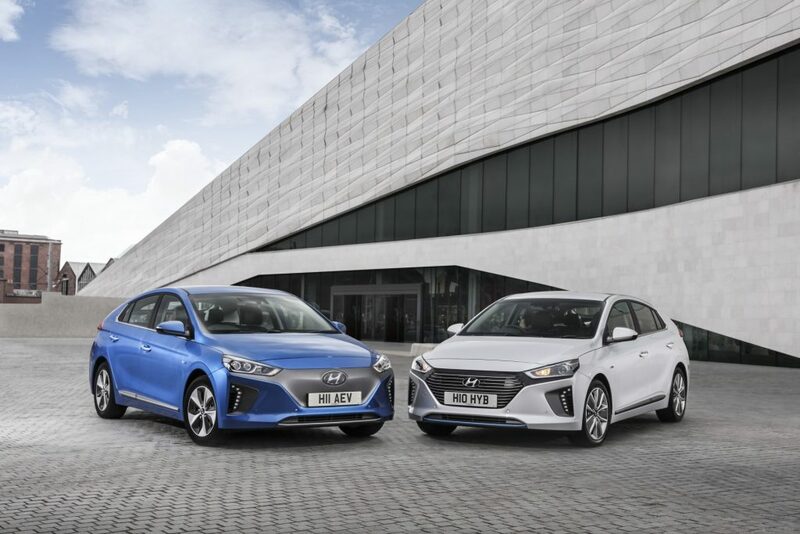 The IONIQ Plug-in offers an enticing mix of both, with 30 miles of zero emissions motoring and the peace-of-mind of a 1.6-litre GDI range-extending petrol engine. Judged and presented by the expert editorial team of Carbuyer.co.uk and DrivingElectric, both run by Dennis Publishing, the awards are designed with genuine consumer interests in mind, delivering on the publications’ promises of being the internet’s most insightful car-buying research tool and specialist electric vehicle website, respectively. Steve Fowler, Editor-in-Chief of Carbuyer.co.uk and DrivingElectric said: “By offering the IONIQ with a choice of hybrid, plug-in hybrid and pure electric powertrains, Hyundai created a unique proposition in the market – one that’s perfectly tailored for company car drivers looking to minimise costs. More than that, the IONIQ is practical, comfortable and good to drive in all its guises, a great company car to suit a range of usage patterns. Although it was the IONIQ range as a whole that won Carbuyer’s Company Car of the Year, the judges picked out the IONIQ Plug-in Hybrid for particular praise as DrivingElectric’s Compact Plug-in of the Year. “The Hyundai IONIQ is at its best in plug-in hybrid form delivering family-friendly practicality and the prospect of zero exhaust emissions motoring for owners who can operate it within the genuine 26-mile real world electric range. Solid build and user-friendly tech also count in the favour of this great value all-rounder,” continued Fowler.